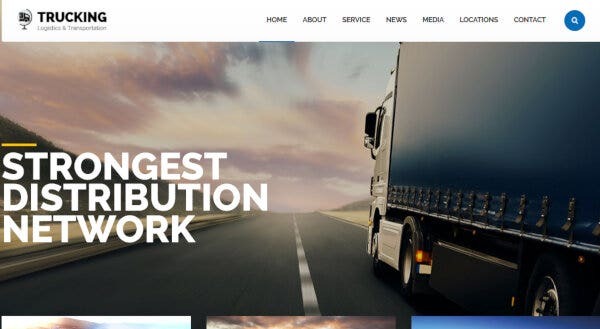 You are in the transport business and want to promote your services online, a professionally designed trucking WordPress theme will help you with the business logistics and reach a wider audience. 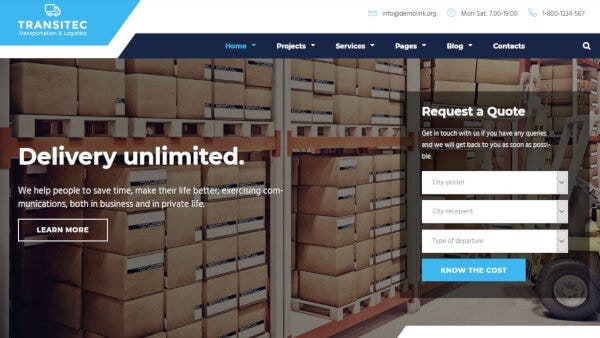 Below are enlisted some of the best Trucking WordPress themes with premium plugins and page layouts that will ensure that you are able to get your trucking business website ready within no time. 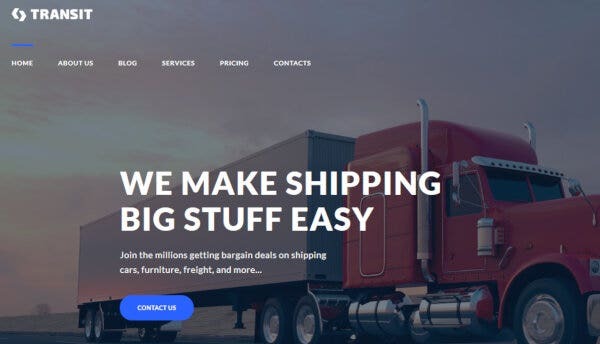 Trucking is a logistics and moving company WordPress theme that will make your local transportation easy and showcase your services in the right way. Based on Content Maker Page Builder the layouts are smart and intuitive. You can install the demo page within minutes and all the pages are SEO optimized. 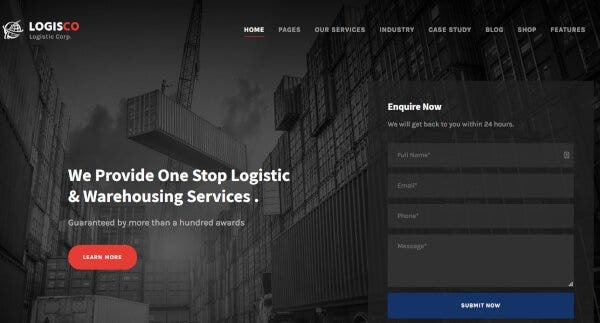 Logistics Business is a shipping and logistics WordPress theme that will boost your transportation and trucking business to new heights. The theme is multilanguage supported and GDPR-ready as well as customized with the latest plugins your website could experience. There are Grid, Masonry, Timeline or Standard layouts for your webpages and the Content Composer consists of more than 99 shortcodes. Do you want to set up an elegant and ultra-responsive trucking WordPress theme for your transportation business? Then Logicon should be your choice with its customized contents and easy plugins. It is based on JetMenu plugin which helps you to build beautiful mega menus with no time. FastRoad is for your transportation business WordPress theme and for truckers. The carefully built Elementor Page Builder is loaded with some beautifully designed design modules for your website. It is a mobile-first theme and fits well even on smaller mobile screens. It is equipped with the Jet Elements plugins and numerous free images for your online business. Trucking is a drag and drop WordPress theme for all trucking businesses, transportation, and freight companies. 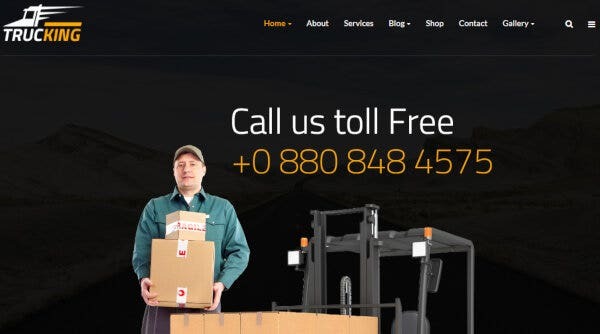 It has beautiful homepages and handles air freight, ocean freight, and supply-chain management as well. It is based on the King Composer Page Builder and has more than 200-page builder options. 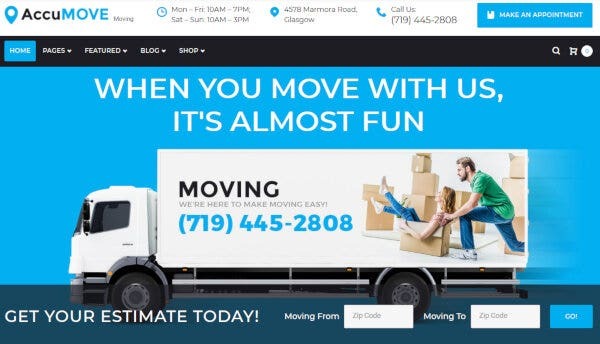 Trust ‘Trucking’ theme for a face-lift for your moving company WordPress theme. 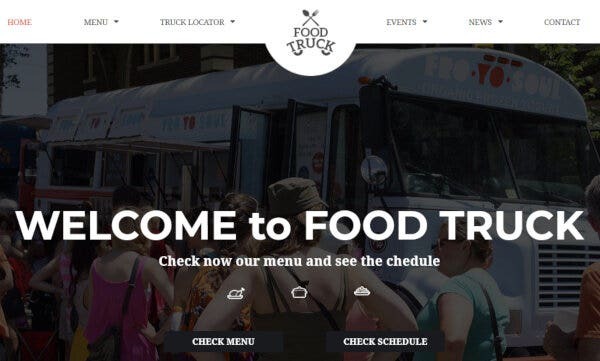 Food Truck is a local business WordPress theme for food truckers and small business vendors who want to build a website for their online business. The interface is simple to use with easy and attractive layouts. The Revolution Slider makes the customization responsive and display of the content beautiful and easy. T-Mate is ideal for your transportation logistics business WordPress website. The design is very responsive and with numerous Google fonts. The theme has a Jet Menu Plugin feature and the Parallax effect gives your images and website a 2D impression and exhibits your portfolio beautifully. 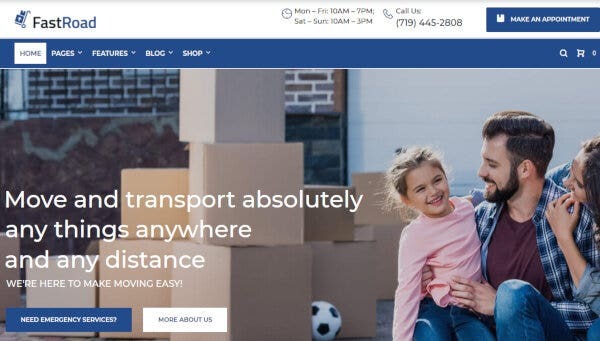 AccuMove is an impressive WordPress theme for your moving business and transportation logistics company. It is WPML ready WordPress theme with great pixel-perfect page layouts and adding contents to your website is really easy. The 24/7 customer support will resolve all your questions within no time. 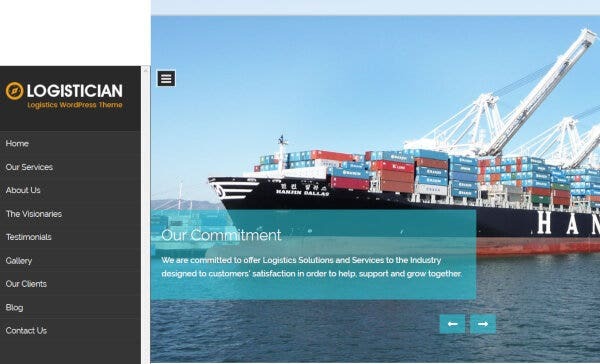 Logisco is a logistics and transportation WordPress Theme for local businesses. It has a Live Customizer that will help you edit your contents and the Envato Market Plugin will allow you to update your theme just with a click. There are more than 770 Google fonts in this theme which is quite impressive. 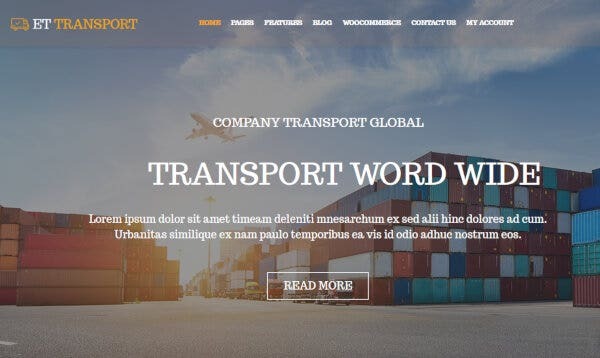 Transitec built on Cherry Plugins is a transportation and logistics WordPress theme with built-in features and functional plugins. Choose from the multiple layouts options and built-in library and create the best layout for your transportation business. The Content modules of this new WordPress theme help you to add multiple contents to your webpage. 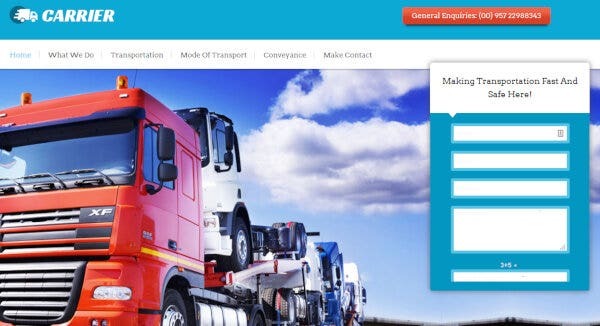 LT ProTrans is one of the best SEO friendly WordPress themes for transportation business. The theme focuses on safety and quality services at an affordable price. The template is mobile-friendly and 100% responsive. Furthermore, it is based on LayerWP embed framework that helps you to create contents easily with the drag-and-drop feature and that too without any coding skills. 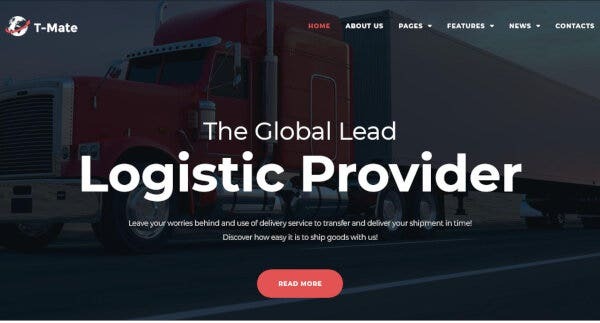 Logistics is a versatile WordPress theme for your online logistics, shipping, transportation, freight, and cargo business. The fully equipped layouts have 8 portfolio pages, 6 blog pages that perfectly exposes the features of your transportation business. There are more than 150 shortcodes and the built-in SEO optimized WordPress theme will ensure high rankings in the search engines. Transit is a business WordPress theme for transportation, delivery, freight, shipping, and moving companies. 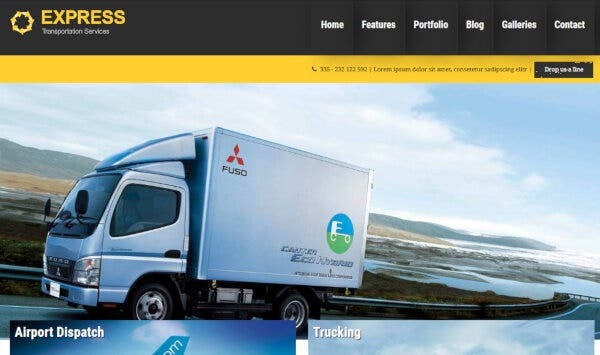 The theme is perfect to build your modern truck business online website and is loaded with some amazing features and plugins. The theme is fully responsive and has custom widgets as well as its drag-and-drop WordPress theme Page Builder helps you to customize your design template easily. 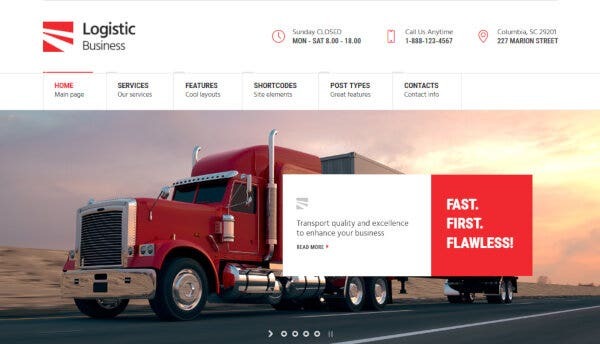 GlobaLogic is a WordPress theme for automotive, trucking business and transportation. The theme is loaded with awesome features and is based on the Bootstrap CSS & Hybrid framework. The color picker tool and admin panel will help you to attractive layouts and with multiple color features. 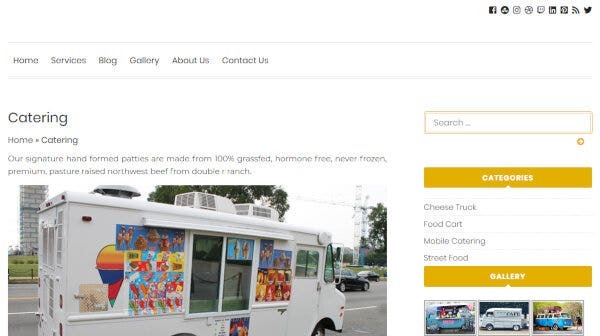 Wagon Food is an online food truck business WordPress theme. The theme is cross-browser and mobile compatible and supports multiple browsers like Chrome, Firefox, and Safari. The Lunch Truck theme comes with a newsletter section for customers to receive notifications and emails regarding your service. 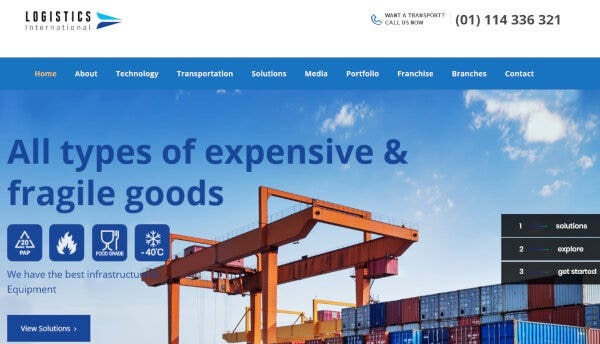 ET Transport based on the Genesis Framework is a premium logistics and transport WordPress theme that can be really beneficial for your transportation business. The theme is highly responsive with easily customizable settings. The navigation is really simple for visitors and the design templates showcase your services, locations, and operative functions in a wonderful way. 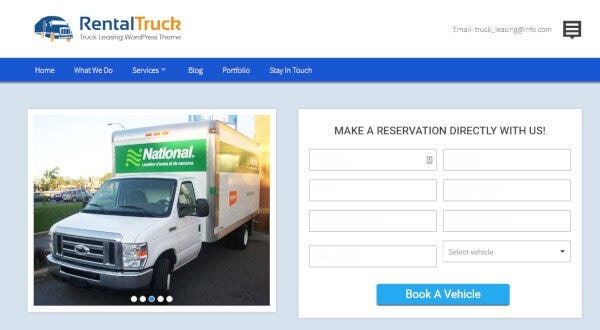 RentalTruck is an online website WordPress theme for truck rental business owners, vehicle traders, wagon dealers, and carriage rental services. The theme is integrated with the InkAppointment plugin that helps you to make booking reservations, estimated cost and location of pick up or drop. 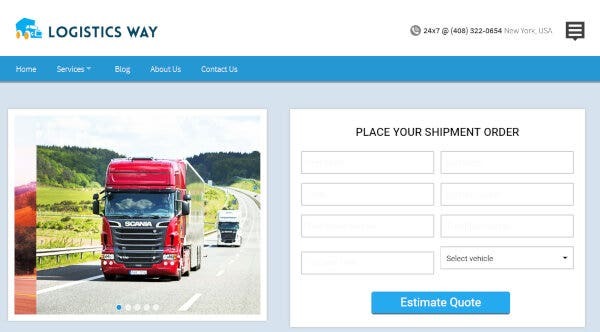 Logistics Way is a WordPress theme for logistics businesses, trucking, shipment, and transportation industries. It has a comprehensive booking system that is integrated with careers and will give detailed information about your customers. It is also integrated with Google Maps API that gives you the precise distance and estimated cost. Logix is a fully responsive and well-documented WordPress theme for the transportation industry. This one page WordPress theme comes with awesome features and a Live Customizer plugin that helps you to set up layouts, header and footer and typography features within minutes. 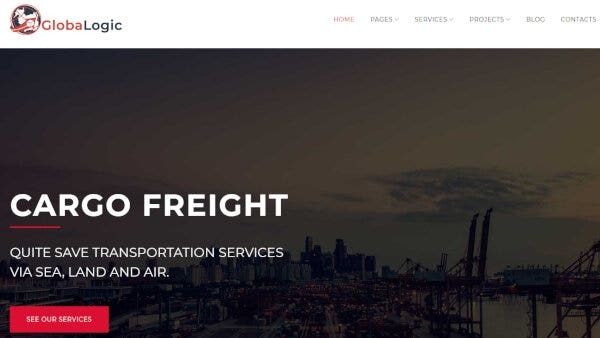 Express is a fully customizable WordPress theme for logistic companies, freighting and transportation businesses. The interface is user-friendly and is loaded with powerful plugins. The layouts are fully customizable and 100% responsive as well. The theme is also Retina-ready and looks good on all devices. 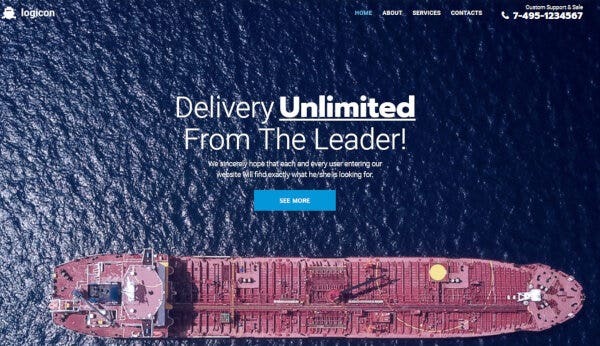 Carrier is a customizable and fully developed WordPress theme for shipping, logistics, cargo, and transportation industries. The theme has got a 24-hour customer support system which is good news for all your valued customers. 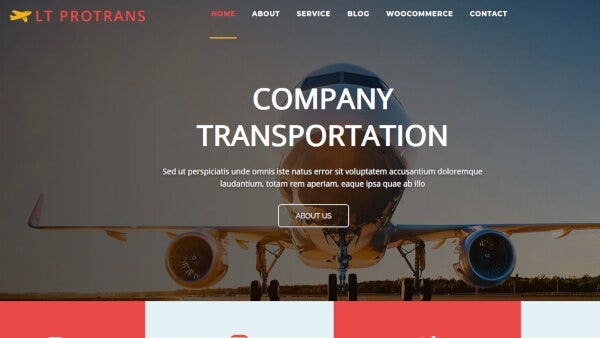 Carrier WP theme is based on Twitter Bootstrap which makes it fully responsive and ideal for your transportation business. Do you own a Packers or Movers or a logistics transportation business? Then Logistician is the perfect online business website for you. Your website will focus on the key features of your company’s achievements, services, and service providers and also convey your importance to your visitors in full detail. The layouts of this multipurpose WordPress theme are impressive, and it coms with Parallax effect that gives an eye-catchy look to your posts. All the themes are fully customized and adhere to the need for a modern truck or transportation logistics business. The themes are not only descriptive but come with easy demos installations that will help you to choose and set up your website in no time.